A vast variety of available composite materials, weathered and new granites, fieldstone and bluestone brings remarkable weather-resistance and subtle organic beauty to our patios, steps, walkways and walls. 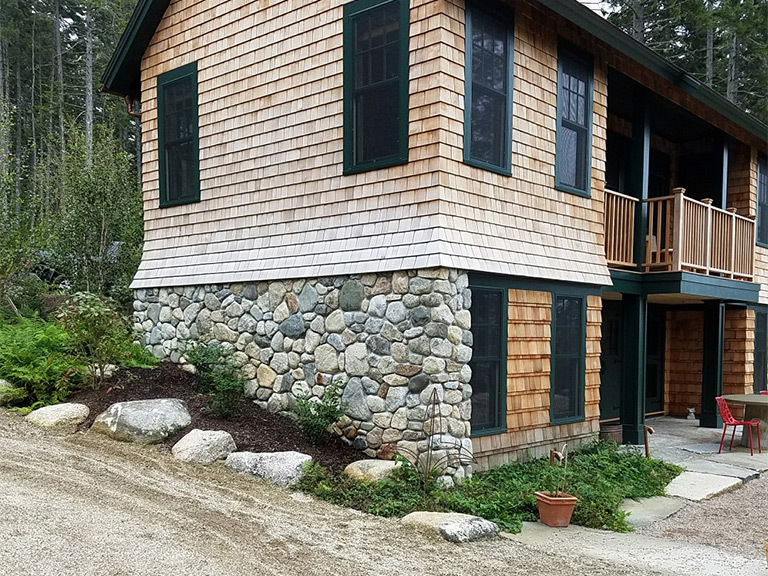 These materials, installed by the skilled craftsmen at King Masonry, can provide a tasteful transition from your home to the natural world and blend into the scenery with grace and charm. Maine’s frequently idyllic summer weather brings families and friends outside to take pleasure amongst the greenery and in each other’s company. 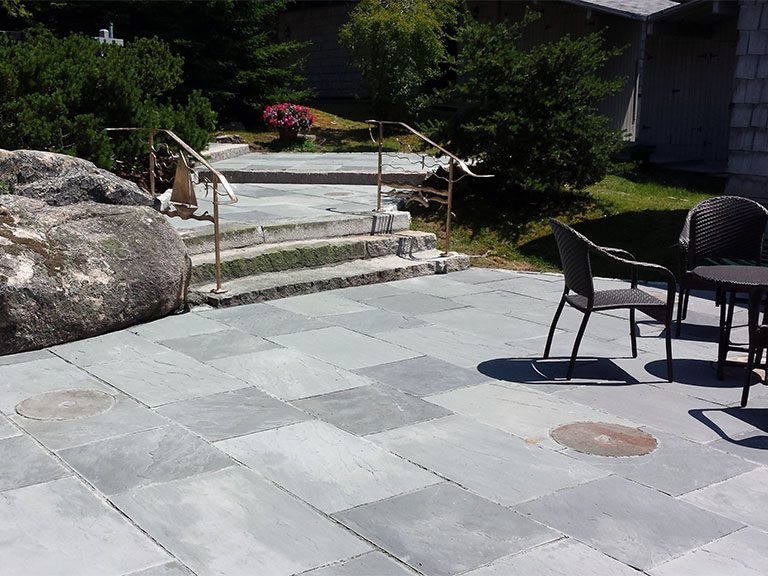 Our stone patios can provide you with the ultimate outdoor gathering spot, while adding lasting value to your home. A composition of stone walkways and steps ground a home in its natural setting and elegantly define its entrance and architecture. 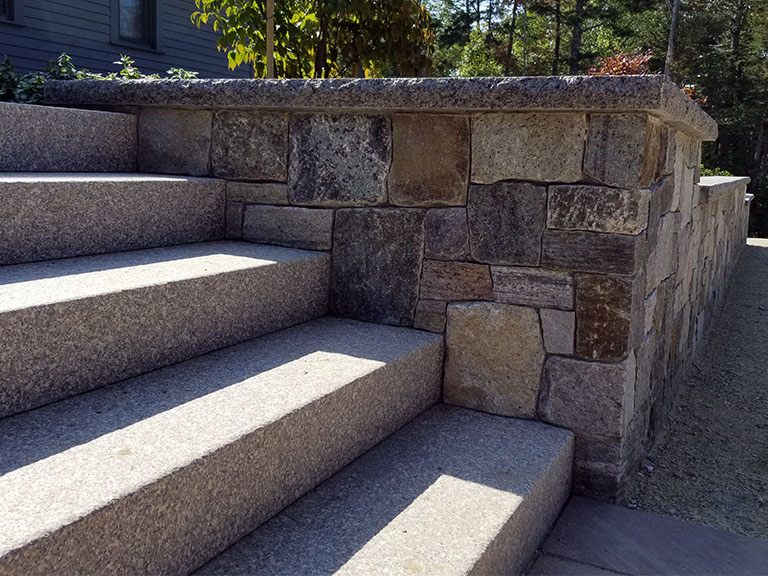 King Masonry would be delighted to assemble an exceptional inviting entrance for your home incorporating a stone walkway and steps, in any combination of specially-chosen stone, particularly from our in-stock weathered local granite. Like all walls, stone walls have purpose, whether to delineate a different section of a yard, mask an unsightly area or provide a transition from one level to another. 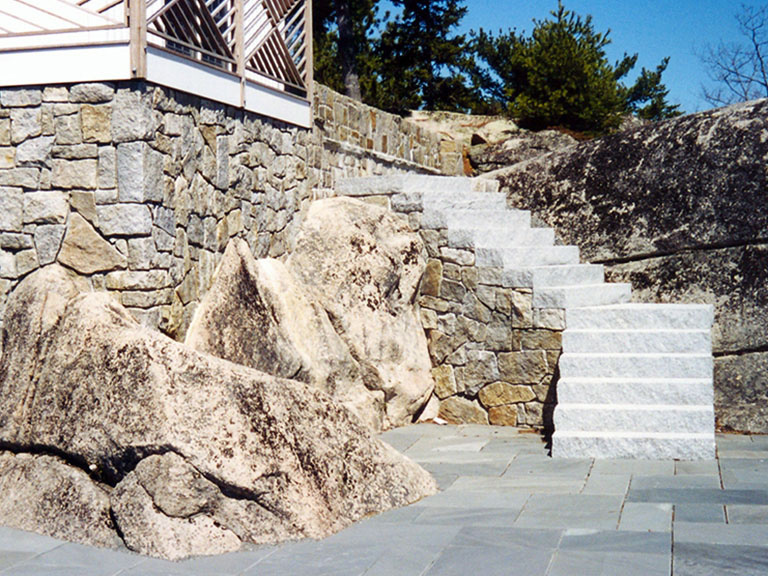 We build structurally-sound stone walls that are decorative and match your style and needs. 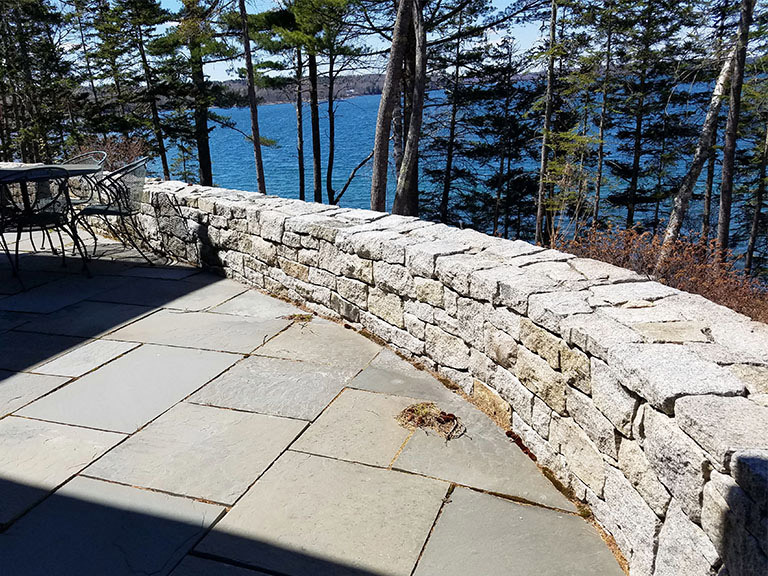 Our experience means that we know how to build with each type of stone, rounded fieldstone or cut granite, and that we guarantee the integrity of the stone walls we build.